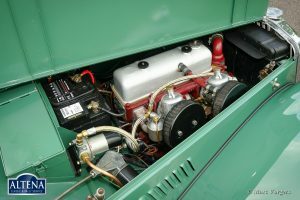 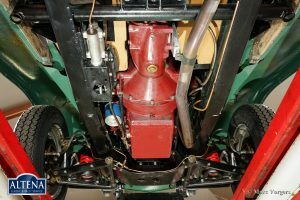 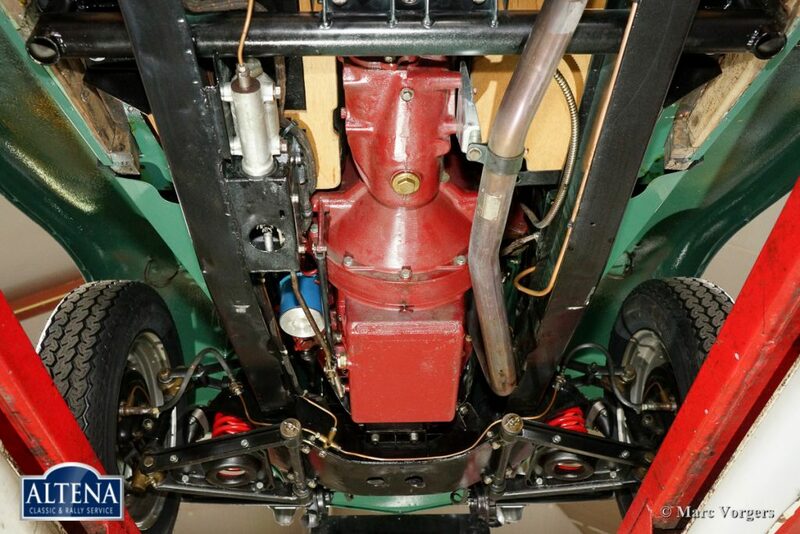 capacity:58 bhp. 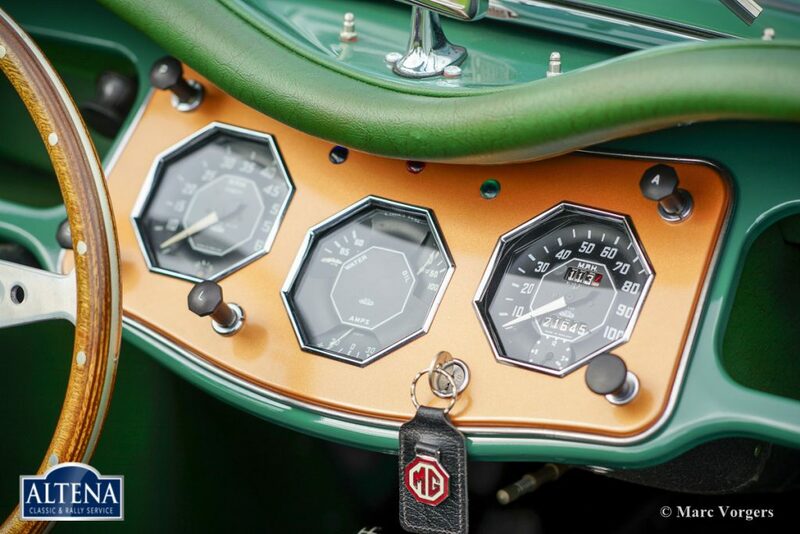 at 5500 rpm. 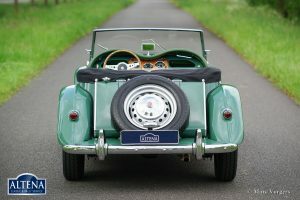 top-speed:130 km/h. 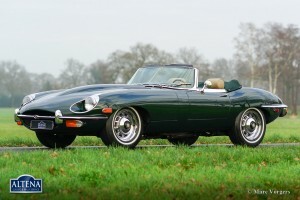 - 81 mph. 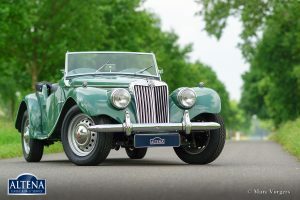 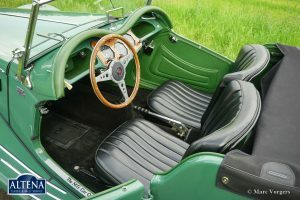 MG TF 1250, year 1954. 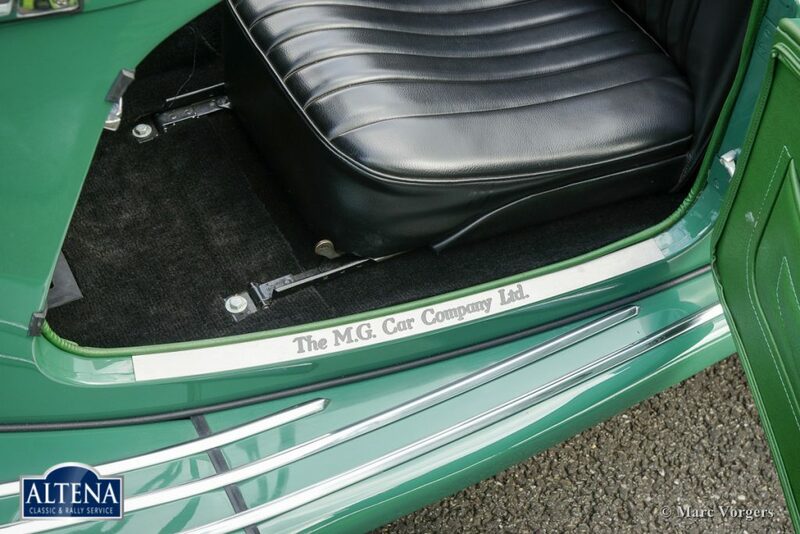 Colour Almond green with a green leather interior and black carpet. 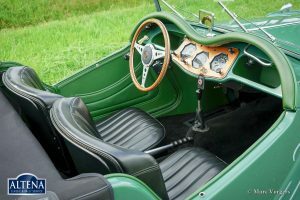 Black soft top and side screens. 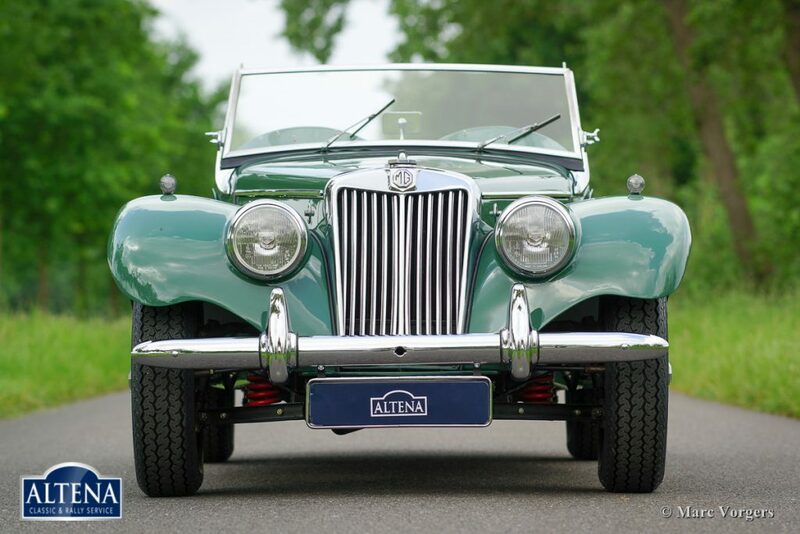 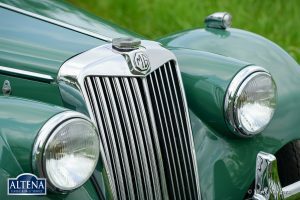 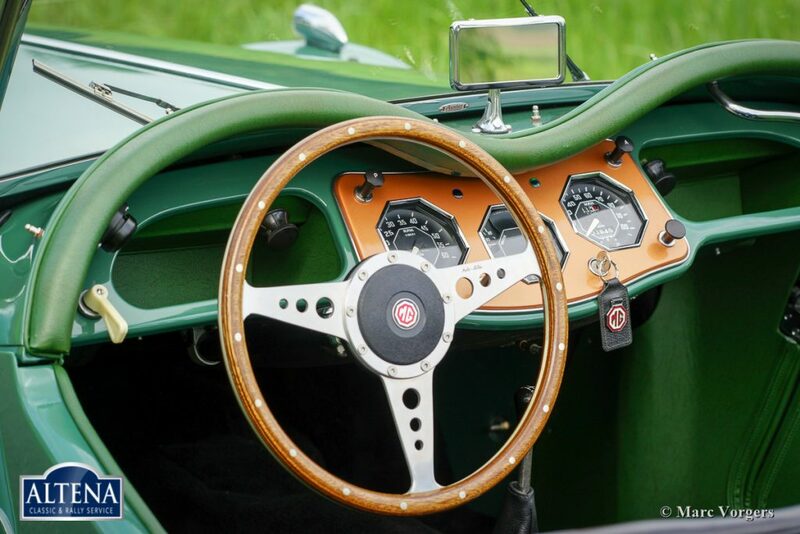 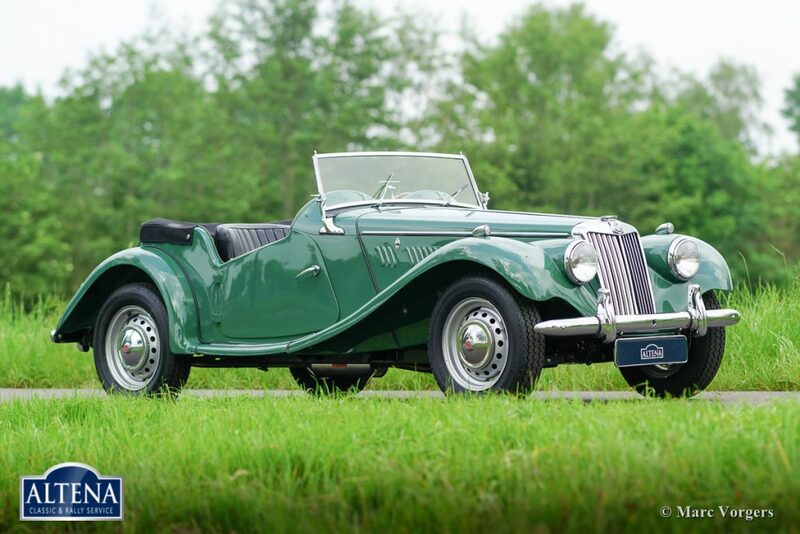 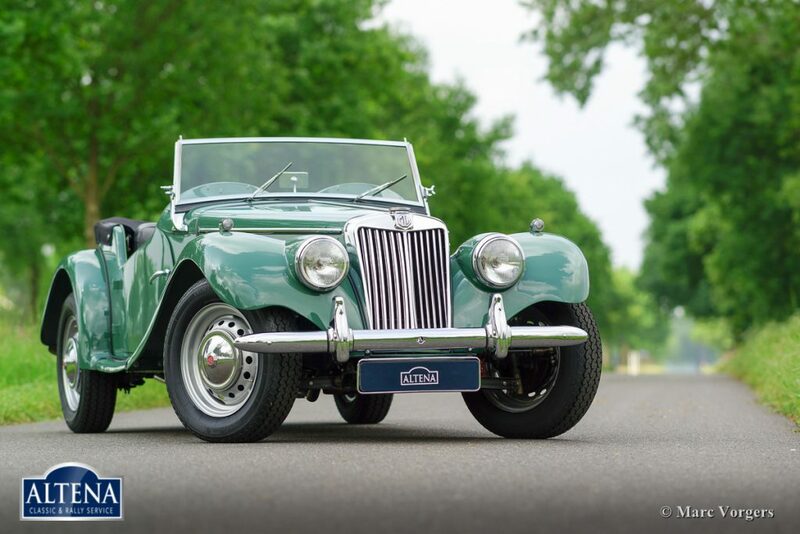 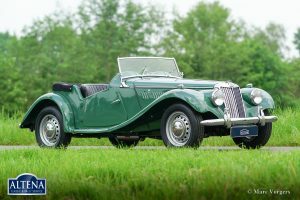 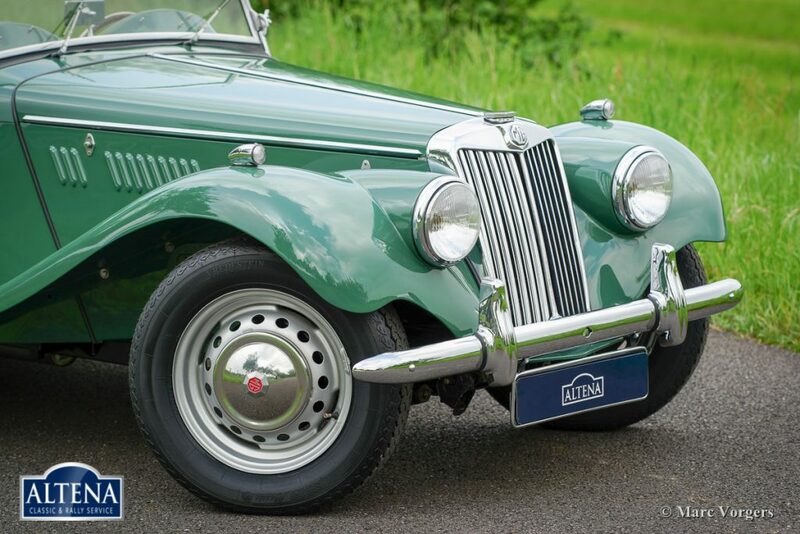 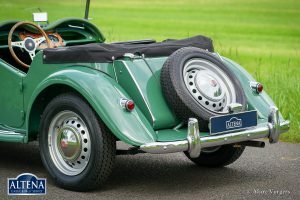 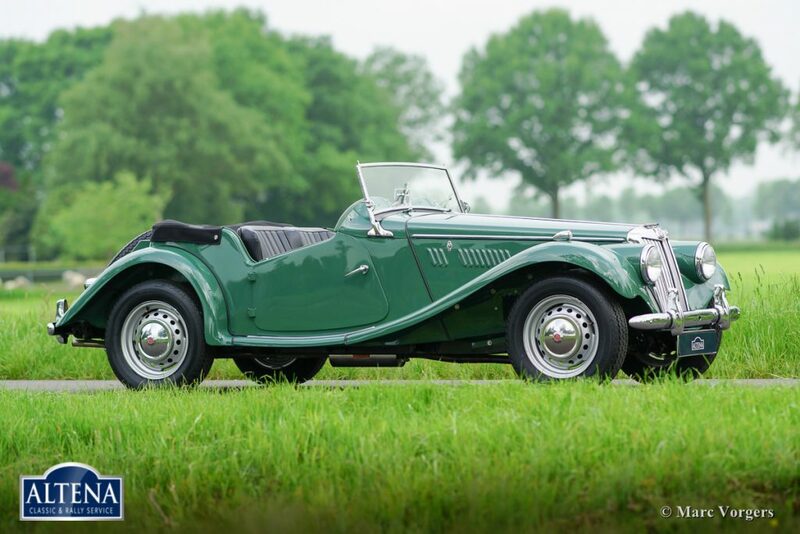 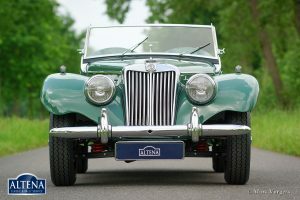 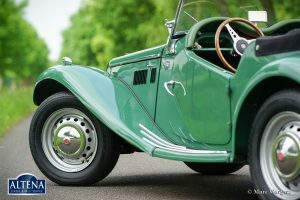 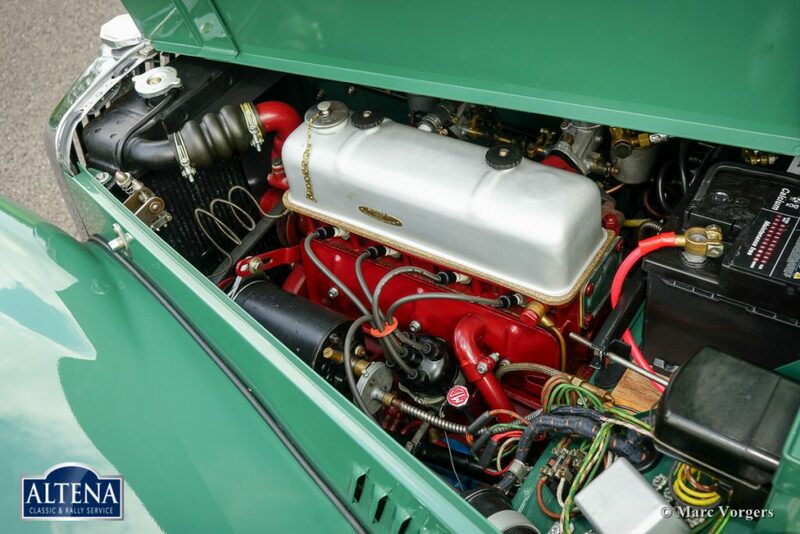 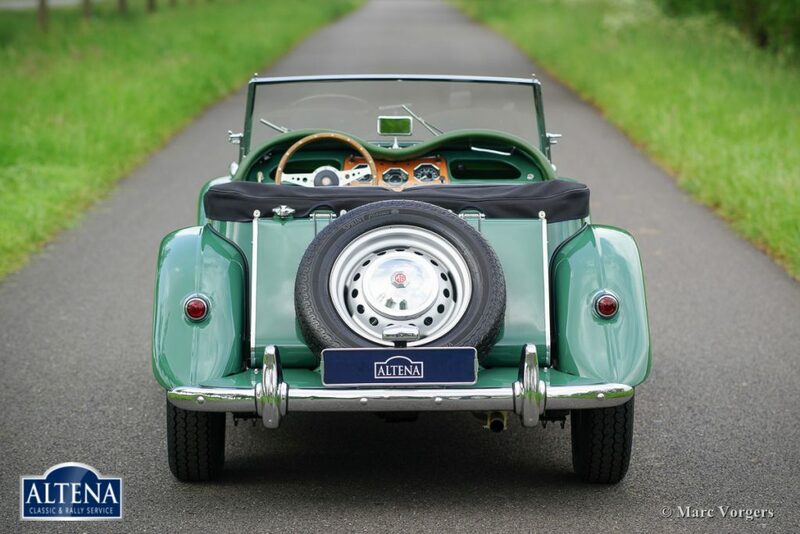 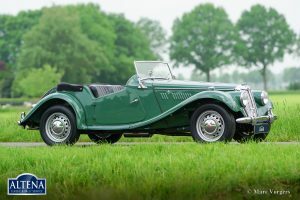 This beautiful MG TF was extensively restored and overhauled in the year 2003, the automobile is still in superb (excellent+) condition! 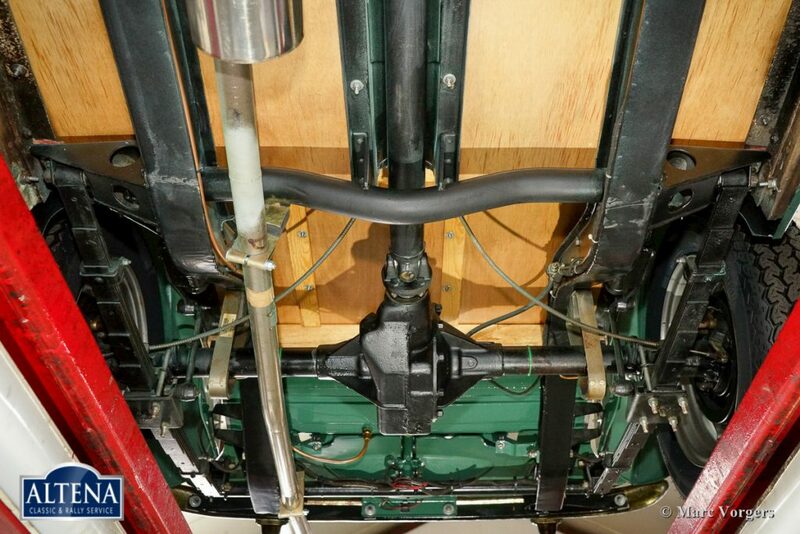 A photo reportage of the restoration is present (on USB stick). 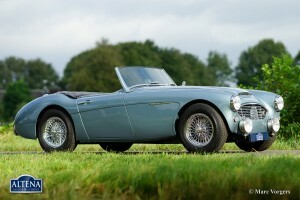 Also present are historic documents, service invoices and a Heritage certificate. 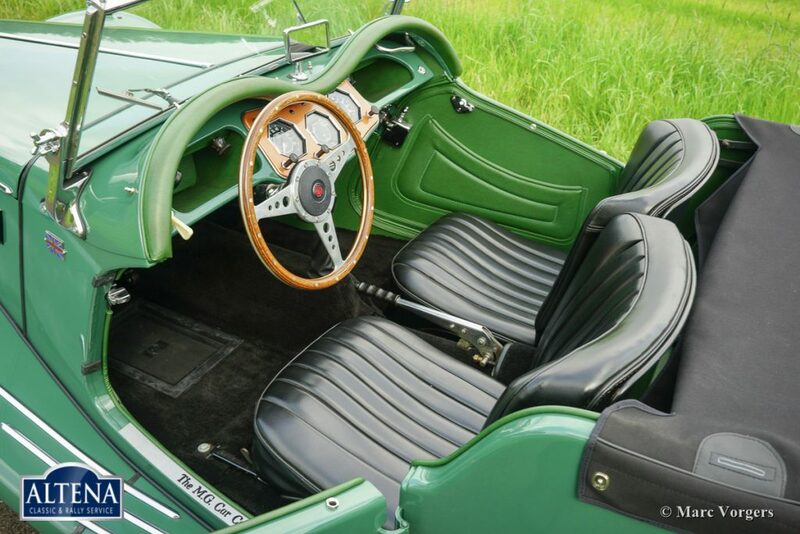 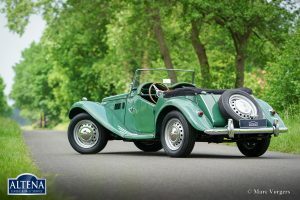 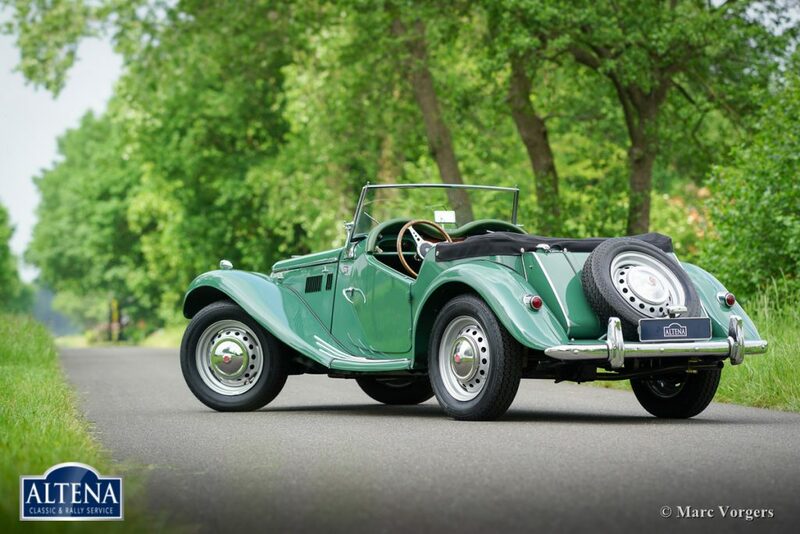 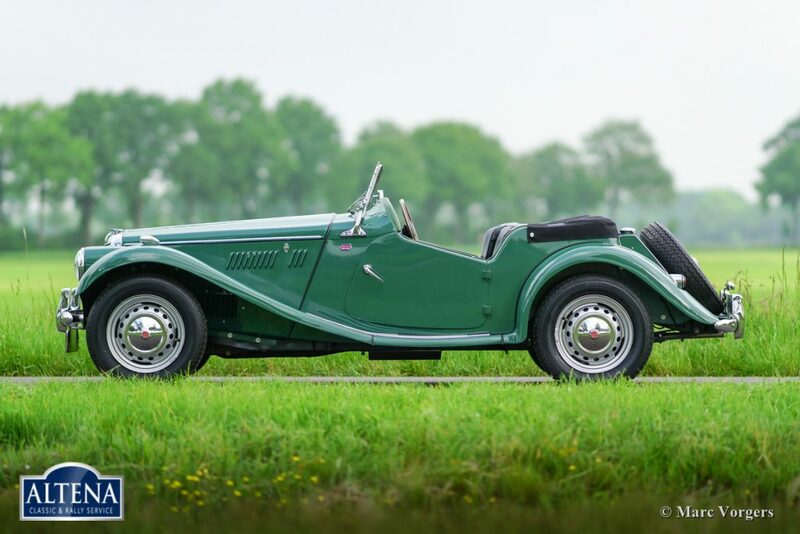 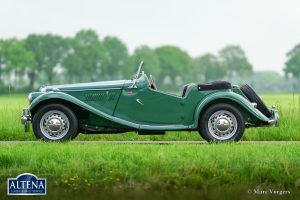 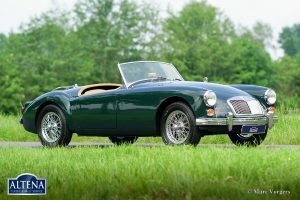 This MG TF is a magnificent British roadster!